Musculoskeletal disorders are probably the biggest working environment problem in the western world. That is why we have taken a total grip on shoes and insoles. We also have the FootStop Service scanner to help you. This makes it easier to try out shoes and soles that are the perfect match for your feet. Why should I scan my feet? 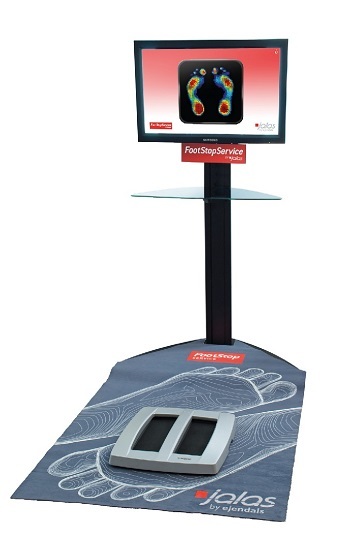 The FootStop Service scanner helps prevent the injuries that can occur if the foot is loaded in the wrong way. That means that FootStop Service acts as preventive health care. It cannot replace medical treatment of injuries that have already occurred! - Performing an analysis of your feet is easy and quick with the aid of FootStop Service. - You don’t even need to take your socks off. - The scanner records the measurements of your feet, the arch and the pressure load points in a few seconds. - You get the result immediately. The display shows how and where your feet are under load, as well as whether you have a low, medium or high arch. - The staff in the shop can now help you to try on the right shoes and you can go home with JALAS® insoles that have been tested for your foot arch. Jalas ® anatomical insoles solve many problems – but not all. If you have great problems with your feet, orthopedically tested insoles are a must! 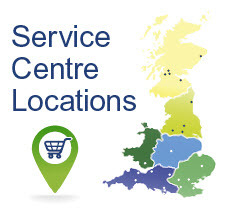 Visit your local Service Centre to find out more.